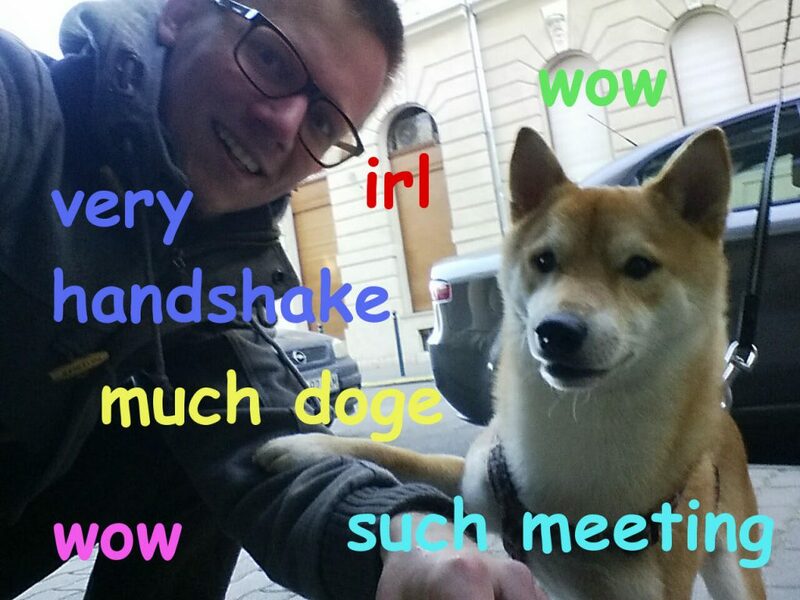 Today I met Doge, somebody’s Shiba Inu on the street outside my home, no idea what its name really is but the friendly dog came and gave me a handshake! This entry was posted in Humour, Life, Photos by Siôn le Roux (sinisterstuf). Bookmark the permalink. I like freedom, GNU/Linux, programming and music. I work as a software developer and I play guitar for fun when I'm not out enjoying extreme sports.